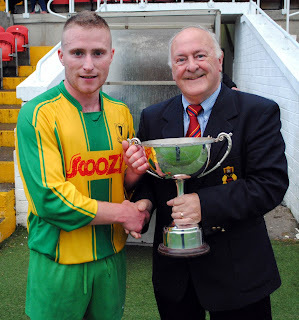 Hibernians captain Dave Hayes is presented with the Corinthian's Cup by Denis O'Driscoll (Cork AUL) after their 3-1 defeat of Lakewood in the final at the Cross on Friday night. 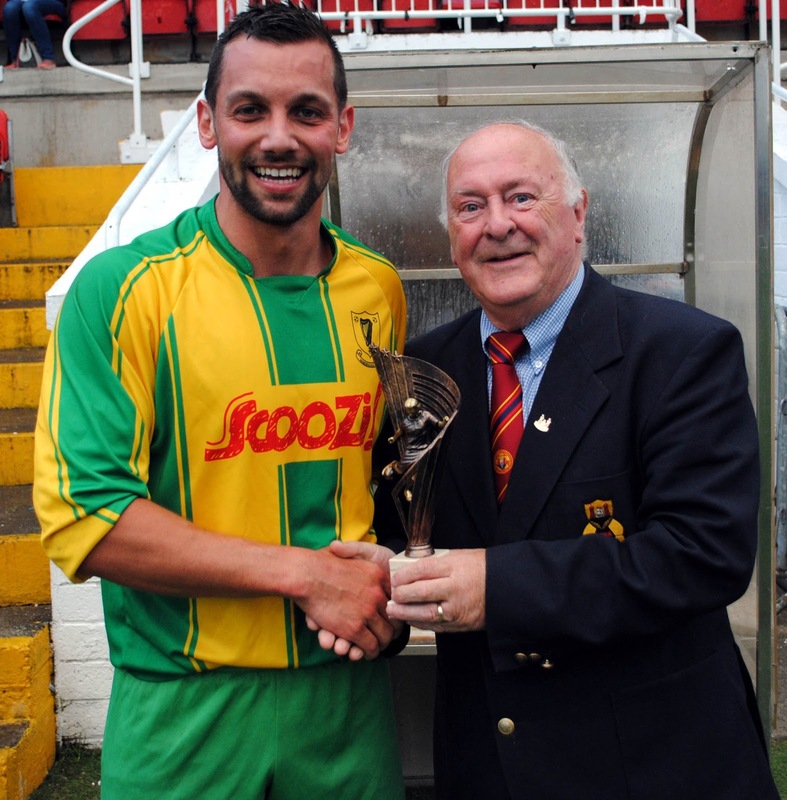 Hibernians' George Durranty is presented with the man of the match award by Denis O'Driscoll (Cork AUL). 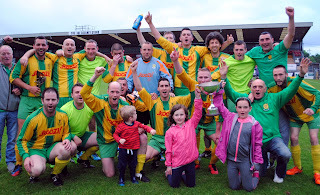 Hibernians players and supporters celebrate after winning the Corinthian's Cup following their 3-1 defeat of Lakewood at the Cross on Friday night.